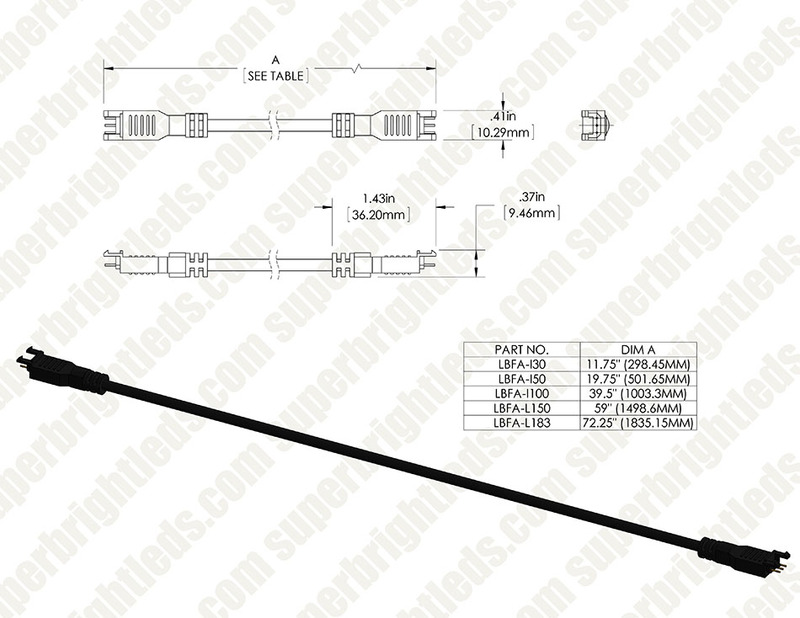 LBFA series interconnect/jumper for connecting LuxBar Linear Light Fixtures together. Available in 9.8in (25cm), 19.7in (50cm), 39.3in (100cm), 59in (150cm), and 72in (183cm) length. It does work, but getting those little pins straight, and into the matching sockets, was a long, drawn out, very difficult process. When I got them in, they did not lock into place, as designed. Took a good half-hour to get two strips together in an awkward location. a slight issue with connection.. The pins on these are so fragile and the clips aren't the best when connecting to a rigid LED strip. I normally use this with the LBFA-CL LuxBar Fixture to Wire Locking Clip on each end to ensure it doesn't fall out. 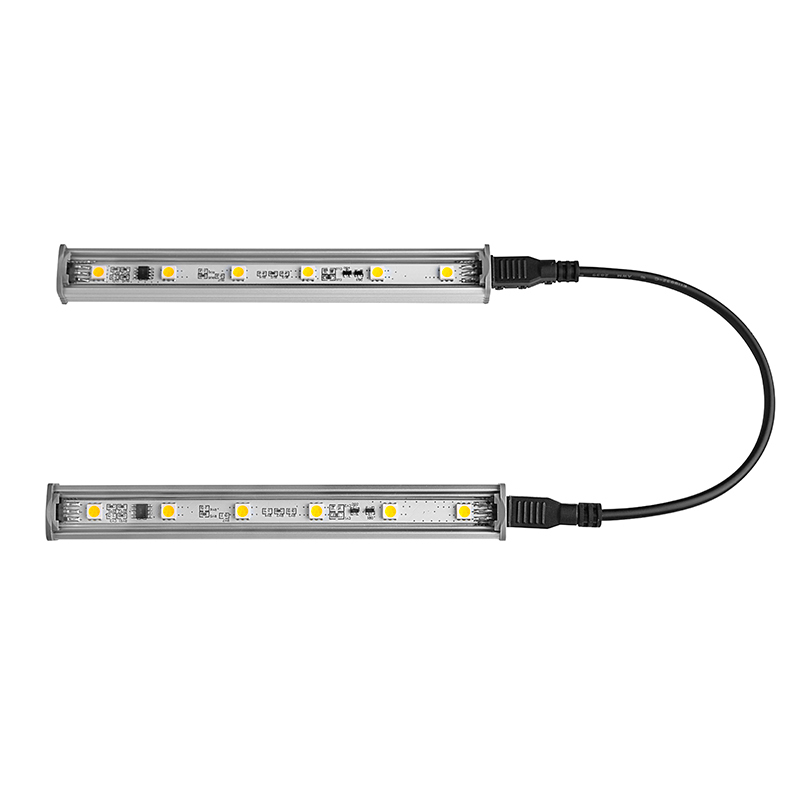 6' feet is plenty, to connect from one bar to the next.. while cost effective to get the most of your system buy running your power supply to 80% of its peak output, it's just better off to get another power supply and power the other LED strip that is further than 6' away. At least that way you have flexibility to add more later and save these interconnectors for another application. 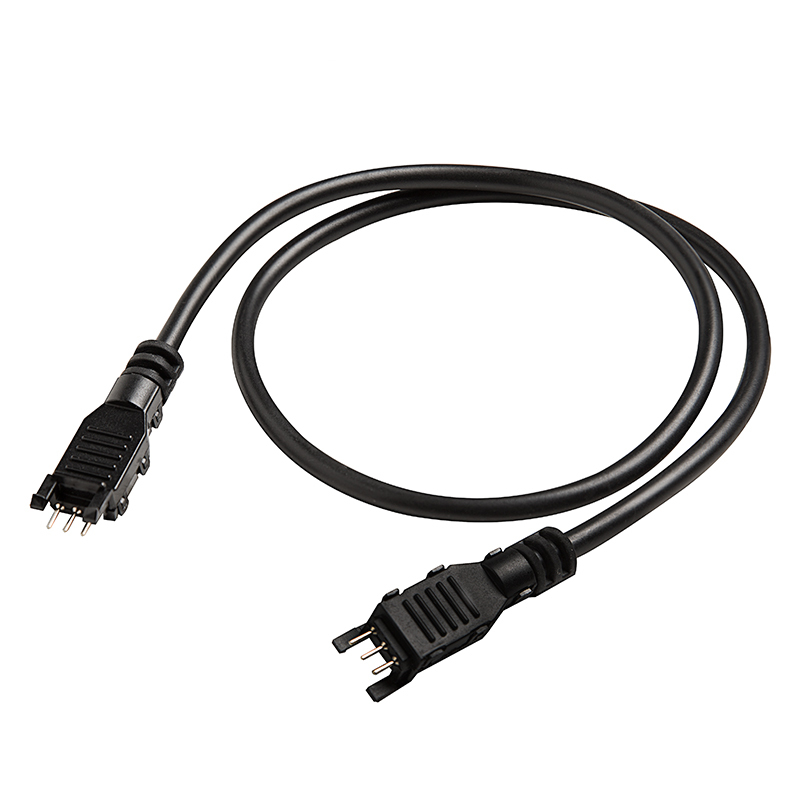 The connecting wires are well made, have a tough outer shell. The plug ends fit well, just need to be very careful plugging them in as they must be precisely aligned or will bend.